This introductory course will teach you your first steps in Fiori App development. Learn how to use the Web IDE development platform and make your first App modifications. 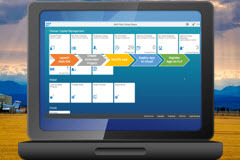 Once you're done with your App development steps, you'll deploy your App and register it for the SAP Fiori Launchpad so that other users can use it. The best way to keep sharp is to keep training and trying new things through your SAP access, is also inexpensive.